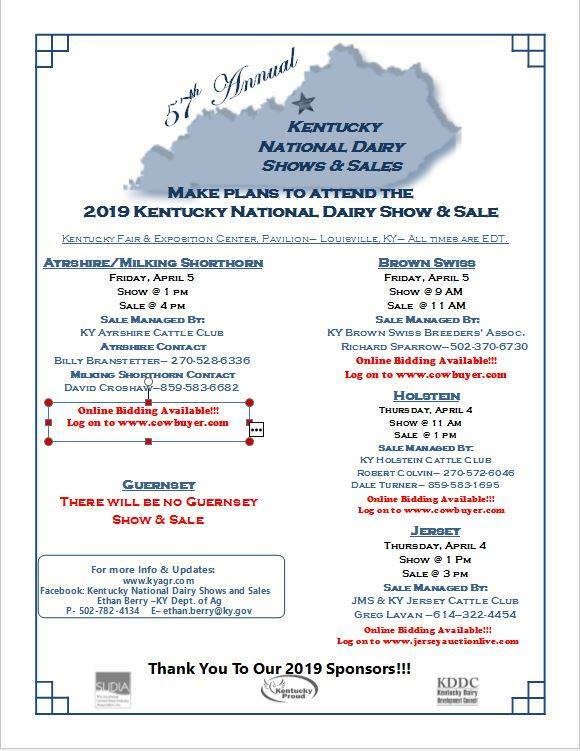 This week at the Kentucky Exposition Center, visitors will be able to attend the Kentucky National Dairy Show and Sale. The show is this Friday (11 AM to 4PM) and Saturday (9 AM to 5 PM). Online bidding is available this year. More information about the show and the bidding can be found here. Admission is free and open to the public. Parking is $8 per vehicle.